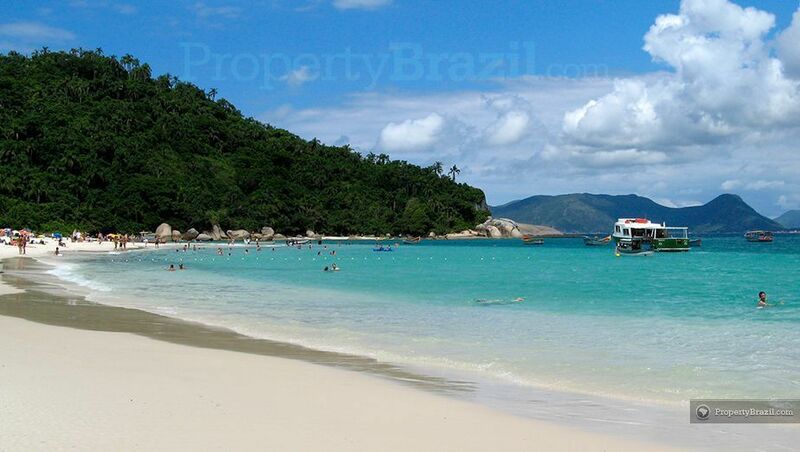 Santa Catarina is a magnificent state with plenty of attractions along its beautiful 561 km coastline. 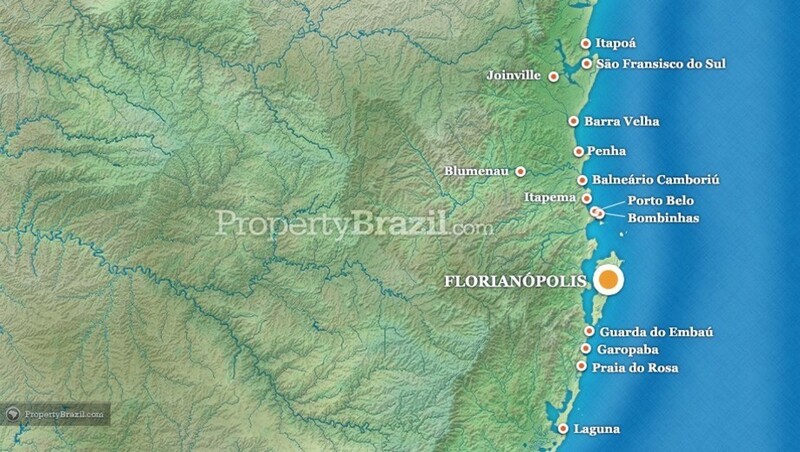 State capital Florianópolis enjoys a privileged island location and with its 42 impressive beaches, families and experienced surfers alike are sure to find an ideal setting for their holiday preferences. The south coast of Santa Catarina offers great locations such as Garopaba, Guarda do Embaú and Laguna while on the north coast one finds Penha, Bombinhas and Balneário Camboriú. 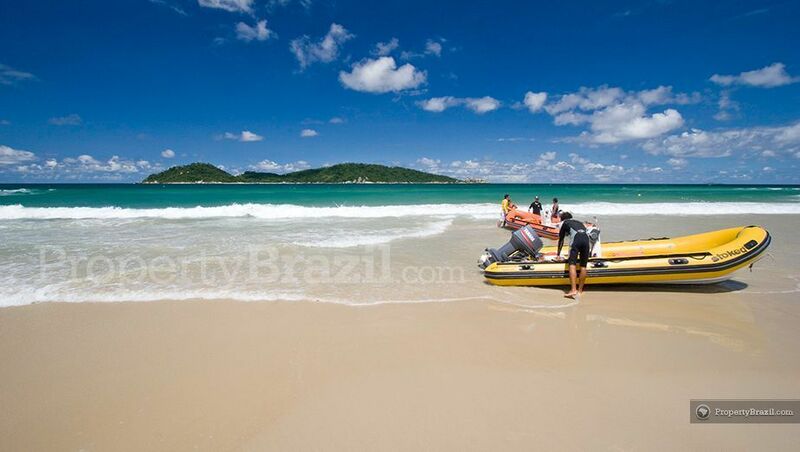 Florianópolis is one of the leading tourist destinations in Brazil and attracts large numbers of Brazilian and South American tourists coming here for enjoying the gorgeous beaches. The city is located on the Santa Catarina Island and one can access most of the 42 beaches in Florianópolis within one hour by car. Sometimes simply referred to as “Floripa”, the city is modern and has an excellent infrastructure with a beautiful beach promenade, great restaurants, bars and a vibrant nightlife. Some of the beaches in Floripa enjoy great waves for surfing and many consider Florianópolis the surfing capital of Brazil. The beaches on the north coast are more developed than the beaches on the south coast. Some of the most famous beaches on the north coast include Jurerê Internacional, Praia dos Ingleses, Canasvieiras and Daniela. 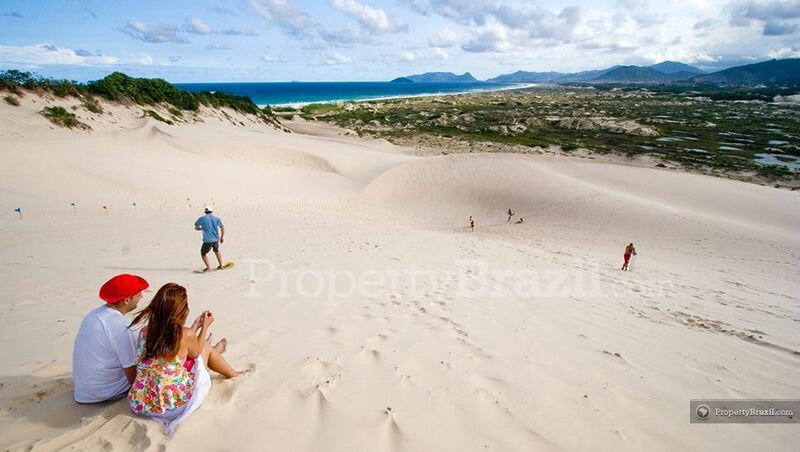 Famous surfing beaches include Praia Mole, Joaquina and Praia Brava among others. The south coast of the island offers less developed beaches but no less beautiful. For nature lovers the Lagoinha do Leste beach is of special interest and is considered as one of the most beautiful beaches in Santa Catarina. In the middle of the island lies Lagoa da Conceiçāo, a beautiful lagoon lined with hotels, bars and restaurants and it is also a popular nightlife spot in Florianópolis. Balneário Camboriú is located 80 km north from the state capital and is sometimes referred to as the Copacabana of southern Brazil due to its lively nightclubs and busy beach promenade. 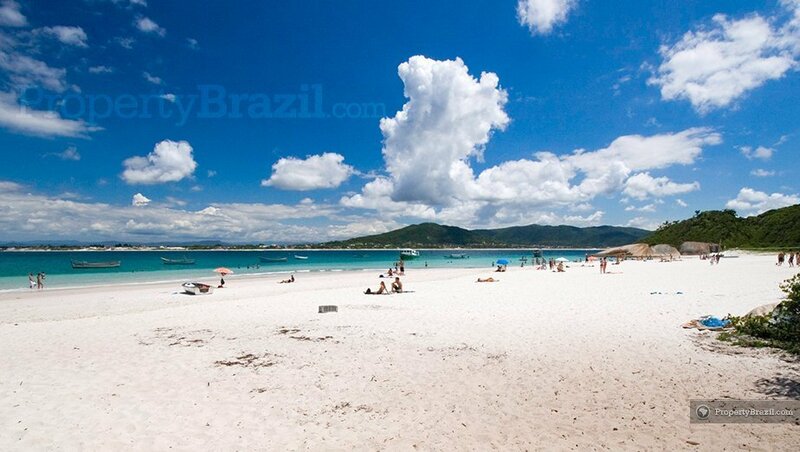 60 km north from Florianópolis sits Bombinhas, a fine coastal town with many excellent beaches. This is also where the Reserva Biológica Marinha do Arvoredo is located. It is a natural paradise and due to its islands and reefs with crystal clear waters, Bombinhas is considered the best diving spot in the south of Brazil. 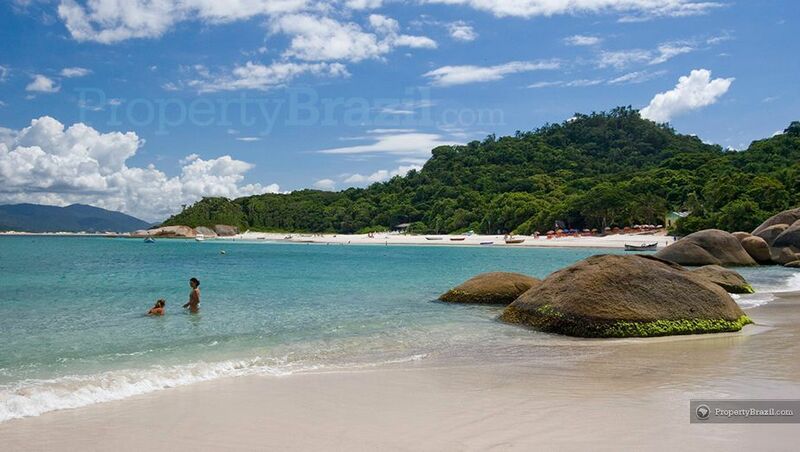 Penha is another popular area located 120 km north from “Floripa”. Penha offers plenty of beaches as well as the Beto Carrero World, an amusement park that attracts high numbers of visitors to the area. Sāo Francisco do Sul is a beautiful historical town located 215 km north from the state capital and is one of the oldest towns in the country. The areas close by offer beautiful beaches with plenty of great surfing. 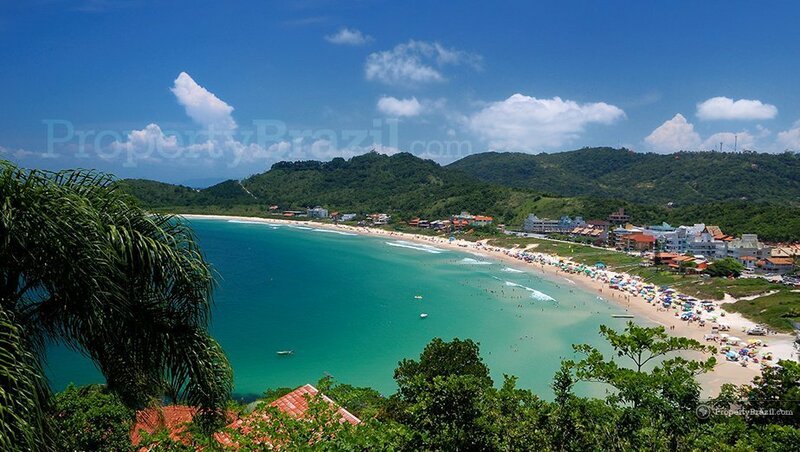 Santa Catarina’s southern coastline is dotted with many beautiful and today fashionable beach towns. Garopaba 90 km south from Florianópolis, is a surfing hotspot and is a fashionable holiday area for sunbathers and surfers alike. Praia da Rosa, 18 km from Garopaba, is considered one of the most beautiful beaches in the south of Brazil and attracts plenty of tourists. 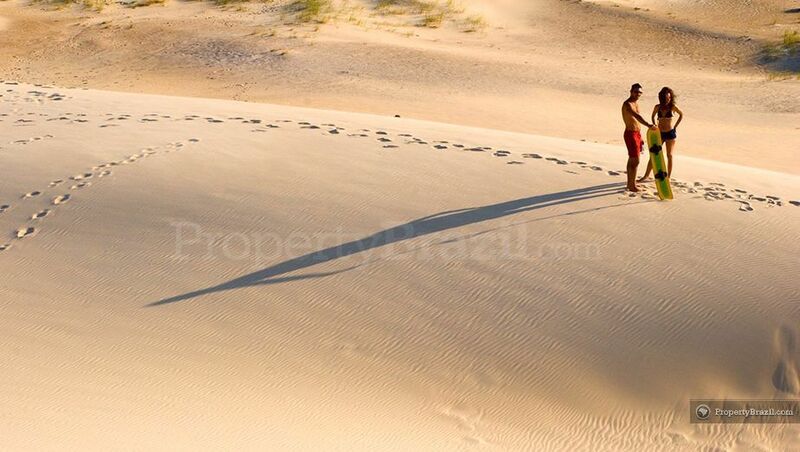 Guarda do Embaú is another fashionable spot and is often mentioned as a top surfing beach in Brazil. This part of the coast is also a perfect location for whale watching as every year from July to November, southern right whales from Antarctica migrate here to reproduce. Located 121 km south from the state capital, Laguna is the regions second oldest town and has hundreds of historical buildings that today are declared a historical heritage site. Majority of the population in Santa Catarina are descendants of Europeans that immigrated to the area back in history. Nowhere can this better be seen than in the inland towns of Blumenau and Joinville as they enjoy from a strong German influence. Every October the world’s second biggest Oktober-Fest is held in Blumenau and this Alpine styled town attracts beer lovers from all corners of the country making it the true “beer capital of Brazil”. Another inland highlight in Santa Catarina is the yearly Winter Festival in Sāo Joaquim. Located 290 km inland and with mountains up to 1800 meters above sea level, the area sees snowfall during peak winter months. The international airport, Hercílio Luz, is located 12 km from the center of Florianópolis. There are plenty of domestic flights and the airport also receives tourists from abroad. Please view the flight guide for more details. If you have any questions about traveling in Santa Catarina, you can get helpful advice by joining our community forum.